What a BEAUTIFUL fall week! The weather was gorgeous and we spent a good chunk of the weekend outdoors attending a birthday party for one of Liam’s friends at a park, and getting our own family photos taken by a friend. (Can’t wait for a preview of those in an upcoming collage!) Speaking of our family photos, Liam spent most of the week practicing his best smile, which you’ve gotta admit is perfect. Lila got her first baby shoes (with owls of course) and is walking all over the living room with her little walker. 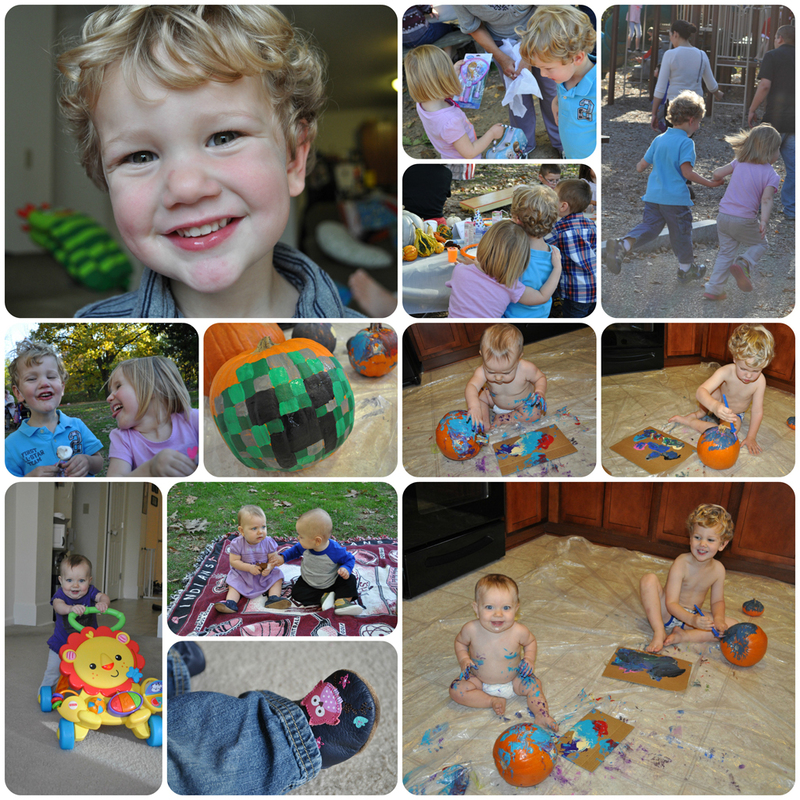 Liam’s classmate threw a fall-themed playground party and the two were inseparable. (And seriously, how adorable are they together?!) We had a great time, and Lila got to play with one of her classmates at the park, too. On Sunday morning we painted pumpkins. Liam helped to pick out Lila’s first pumpkin for her. I think Lila got more paint on herself than on her pumpkin, but we all had fun!